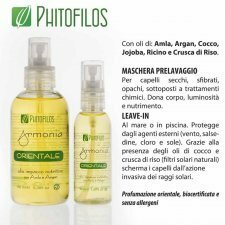 Phitofilos is an Italian company based in Rome, the owners have 40 years of experience in the herbal and natural sector, and they want to disclose the benefits that nature can even give the most demanding hair, with the belief that a healthy hair is the result a balanced style of life and attentive to the products it uses. HEALTHY AND PROTECTED HAIR. 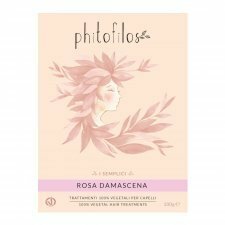 All Phitofilos lines have been studied and tested to take care of hair in a healthy, natural and delicate, combining the aesthetics, hair health, the environment and people. The aesthetic result is a natural consequence, a healthy mirror. REFLECTIONS UNIQUE AND NATURAL. The alternative to chemical dyes for gray coverage exists and is all natural. The world of dyeing herbs is rich and stimulating as it is able to offer to each hair a different answer. Henna and many other herbs riflessanti, in addition to ensuring the natural nuances of color, have a beneficial and protective action. Pure powder Camping Wood. For use dyeing using debarked wood, red-purplish-brown color, the trunk and larger branches. The vegetable dye principle of this plant is the hematoxylin, colorless substance which, in a humid environment and in the presence of oxygen, is transformed into hematein, intensely colored. The powdered batter Camping used alone, however, has little hold on the keratin of the hair, leaving a light tone on amber. 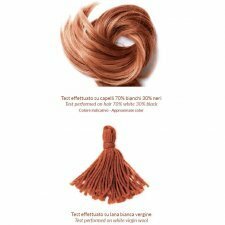 Mixed with other herbal powders (especially with Henna Red) assumes the brown bottoms of brown-coppery notes with good coverage of white hair. Blonde Cold mix made from pomegranate, rhubarb and indigo helpful to get cold nuances of blond very light backgrounds. It's a mixture devoid of Lawsonia (Henna red), then NOT gate auburn or warm reflections also long exposure. Average time 40-80 minutes on natural hair according to the percentage of white, of the type of hair and the intensity of the shade to be obtained. If reflections is too cold (on the yellow-light green-fluorescent) can be corrected with Chamomile Blend or Henna n°1 and return to pure blonde. 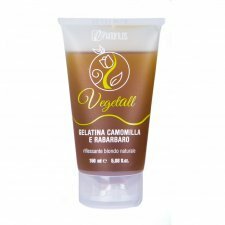 The organic restructuring and Vegan Conditioner, GOCCE DI SETA used after treatment vegetable dye, facilitates color hold and makes the hair soft, nourished and shiny. Thanks to the high presence of polyunsaturated oils nourishes the hair and makes it shiny and full-bodied, stable color retention. Its fragrance decided harmonizes with the smell of herbs. soft and creamy balm, specifically for dry hair, dry and treated. With protein and rice bran oil is the perfect product to get a hair naturally soft and bright. certified organic AIAB ECO BIO COSMETICS - QC Organic Certification - VEGAN OK. The Damask Rose powder gives shine to the hair thanks to its purifying properties. Its antioxidant and soothing properties give relief to irritated skin. Particularly suitable for the skin of the face and body as a nourishing and moisturizing tonic. Use on very sensitive skin is not recommended. Dark Blonde Blend, ideal for obtaining cold dark blond nuances on ash and blond (light or dark) hair. On light blond shades brings cool shades of dark blonde. On light brown backgrounds it brings a simple luster to the hair. Given the low presence of lawsonia, this mixture does not usually bring warm or coppery reflections even to long laying times. CERTIFICATION. 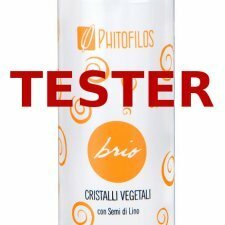 All Phitofilos products have undergone the necessary tests to evaluate their safety and purity: absence of harmful heavy metals and controlled values on minerals present in plants, without picram, absolute skin tolerance, absence of pathogens and molds, without chemical agents. Pure Fenugreek powder: the Fenugreek seeds contain saponins, mucilage, trigonelline, flavonoids, essential oil, lipids, proteins, group B, iron, vitamins, manganese, silicon, calcium and phosphorus. In cosmetics, the Fenugreek is one of the most used herbs for Haircare treatments. The Fenugreek powder, in fact, is used to counteract the excessive hair loss, in addition to giving silkiness and softness to the same. In poultices for the face, it is traditionally used, also in association with the Neem, as a good remedy for seborrheic scalps. 100% crystals of vegetable origin with creamy texture: the natural alternative to silicones. Discipline and Set. Ideal for frizzy, damaged hair, treated and with double tips. Rich of organic ingredients from organic farming (Flax Seeds, Jojoba, Soy Proteins, Sunflower Seed Wax, wax of Mimosa) that revitalize the stem, giving light and compactness to the hair. 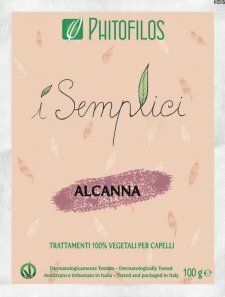 Gel Bio Vegan chamomile and rhubarb to revive the tone of blonde and light brown hair and to keep longer the result obtained with the treatments to dyeing herbs, but also with the traditional colors. It revitalizes dull hair and unstressed, non-greasy and does not create unsightly films. 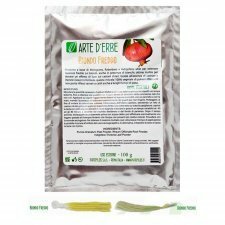 The certified organic formulation is characterized by the high percentage contained in the aqueous extract of Rheum officinale (Rhubarb Root) and Matricaria Recutita (Chamomile flower heads). It contains no fragrance. HOW TO USE: Apply to dry hair, distributing it over the entire head of hair from the bottom up. Leave vital and shiny hair. Instead applied on damp hair after shampooing and freshly dried in the dryer, it develops an action governing. Also useful in the preparation of the dyeing herbs batter to make it creamier and more spreadable during application. Gel Bio Vegan Henna to revive the tone of the hair auburn and red and keep longer the result obtained with the treatments to dyeing herbs, but also with the traditional colors. It revitalizes dull hair and unstressed, non-greasy and does not create unsightly films. 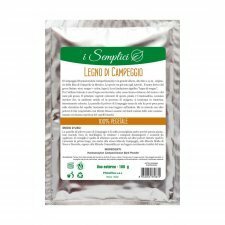 The certified organic formulation is characterized by the high percentage of contained water extract of Lawsonia Inermis (henna). It contains no fragrance. 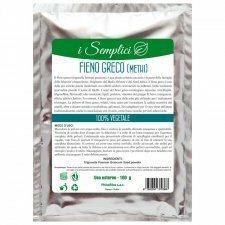 Gel Bio Vegan to Walnut and Indigofera, to revive the tone of brown and brown hair and to keep longer the result obtained with the dye herbal treatments, but also with the traditional colors. It revitalizes dull hair and unstressed, non-greasy and does not create unsightly films. The certified organic formulation is characterized by the high percentage of contained water extract of Juglans Regia (walnut) and Indigofera tinctoria (black henna). It contains no fragrance. 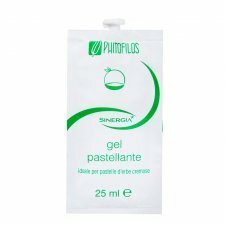 Gel Pastellante is a functional product, which was created to respond to a specific need of the person using herbs for hair: make it simple and convenient preparation and application of batters. 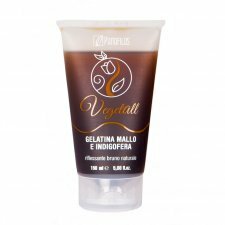 It 'a gelatin plant with Hamamelis virginiana extract, from restructuring properties and polishing the hair. This product allows to obtain more creamy and uniform compounds, avoiding the formation of lumps, the dripping that occurs during the installation phase and favoring the rinse at the end of treatment. It can also be used as a normal modeling neutral jelly for daily styling. It contains no fragrance. How to use: add the gel to the batter already obtained (by mixing powder and hot water). Assess how much gel should be based on the liquidity of the compound; then mix until obtaining a real cream. Usually the entire contents of the sachet (25 ml) is ideal for preparations with 100-150 g of dust, but can vary slightly depending on the item used. Sebum-balancing lotion with Burdock, Dandelion, Yarrow, Farfara, Altea and Green Tea extract, synergized with essential amino acids, at the base of the keratin structure, derived from Wheat and Soy. Rebalances the skin allowing the hair to regain lightness and volume. Ideal as a purifying treatment of oily hair, with a soothing and refreshing effect. It is a product that is rapidly absorbed, non-greasy and does not stain. A soft and soft texture pack consisting of an aroma of exclusively vegetable oils such as: marula, abyssinia, hemp, rice, sesame and apricot. Armonia d'Africa is a synergy of delicate oils that nourishes without weighing the hair, so ideal even for curly hair. It gives a bright, silky, gently hydrated hair. It can also be applied to face and body. A soft and delicate touch of hair, composed of an aroma of exclusively vegetable oils, such as: extra virgin olive oil, grapefruit, sweet almonds, sunflower, apricot and castor. Mediterranean Harmony is a synergy of oils suitable for all types of hair. It gives a light, silky, gently hydrated hair. It can also be applied to face and body. Nutritional pack consisting of vegetable oils such as amla, argan, coconut, jojoba, castor and rice bran that lends itself to different uses. Can be used as a pre-wash mask for dry, brittle and chemically treated hair to give body and nourishment or as a leave-in for the sea and in the pool to protect hair from external agents such as salt, sun and chlorine. Strong hold mousse, ideal for styling curly and wavy hair. Keeps the fold without gluing. 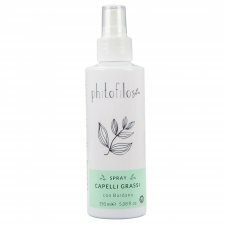 Rich in plant ingredients from organic farming (rice, linseed, alfalfa, millet and witch hazel), this styling Mousse gives support and definition to the hair. Fragrance without allergens. Mousse with soft seal, ideal for styling curly and wavy hair. Natural and lasting effect without sticking. Rich in plant ingredients from organic farming (soy protein, rice, medicinal herbs, flax seeds, millet and amamelide) that give light and softness to the hair. Allergen-free scent.